No speaking engagements are scheduled at this time. If your group would like to host a slide-illustrated presentation on one of my books, please contact me at fbswan32 [at] msn.com. 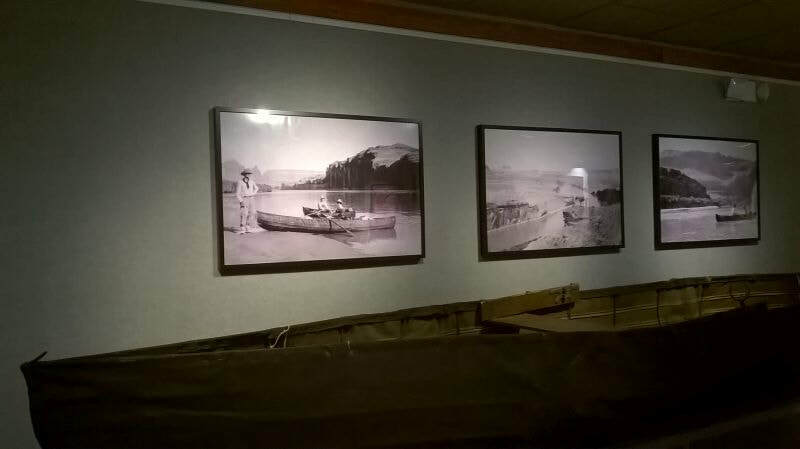 ​Be sure to check out the new exhibit at the John Wesley Powell River History Museum in Green River, Utah which opened May 4, 2018. It's titled "Glen Canyon: A River Guide Remembers" and features river stories and memorabilia from legendary Colorado River guide Ken Sleight and others. Part of the exhibit is devoted to Dave Rust, Ken's predecessor in floating Glen Canyon. You can hear more about Ken Sleight, Glen Canyon and the exhibit on KUSU-FM's "Access Utah" for Monday, June 4 (audio here), and you can visit the exhibit web page here. One of Dave Rust's canvas-covered canoes on display at the John Wesley Powell River History Museum in Green River, Utah. The exhibit runs through March 2019.